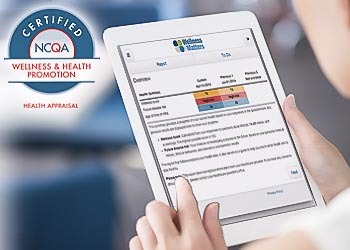 The University of Michigan Health Management Research Center’s (HMRC) founder, Dee Edington, PhD, pioneered the use of health assessments as a wellness program tool over 30 years ago. Since then the center has processed over 12 million health assessments. The center will be closing on December 31, 2016. Current users who are affected by this exit from the market may want to look at PDHI’s health assessment — ConXus Profile. PDHI’s ConXus Profile has received National Committee for Quality Assurance (NCQA) WHP-5 certification for commercial, Medicaid, and Medicare participants. The health assessment is a component of the ConXus Wellness Platform, which has earned HITRUST Common Security Framework (CSF) certification from the HITRUST Alliance’s CSF Assurance Program for data security and protection of protected health information (PHI). PDHI’s health assessment uses mobile-web responsive-design technology that allows completion on a personal computer, smartphone, or tablet. The online questionnaire uses conditional branching logic to present the question set relevant to each user based on age, gender, and program options. The questionnaire is also available for paper-and-pencil completion using bubble forms that support standard scanning technologies. Please contact PDHI for more information.